Ashley Furniture Weekly Ad February 12 - February 18, 2019. 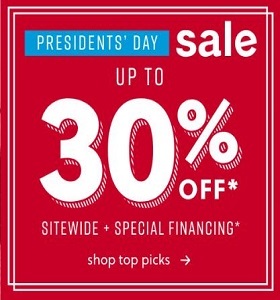 Presidents' Day Sale! Ashley Furniture Weekly Ad February 12 – February 18, 2019. Presidents’ Day Sale! -$59.99 Laurentia Table Lamp; $944 Mayflyn Dresser and Mirror. To see the weekly circular for your favorite Ashley Furniture store, search by ZIP Code or city, state.